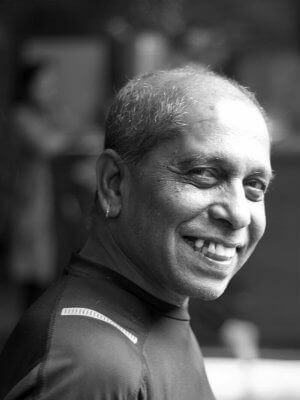 Manju Jois, the oldest son of Sri K. Pattabhi Jois and recognized worldwide as the foremost authority on Ashtanga Yoga, uses only the ancient practices, offering truly authentic guidance for all who wish to follow Ashtanga’s life enriching path to Enlightenment. Manju Jois began his own personal yoga practice at the age of 7 with his father as his Guru and began teaching at the age of 15. He has taught continuously throughout the world for the last 45 years. Manju is dedicated to his mission of teaching the ancient tradition of Ashtanga Vinyasa Yoga, for a total mind-body-spirit unification with Self and God. Manju and his father, Shri Pattabhi Jois, brought Ashtanga Vinyasa Yoga to America in 1975 and Manju has traveled worldwide teaching this tradition as taught to Pattabhi Jois by his legendary teacher T Krishnamacharya. Ashtanga Yoga is a form of Hatha Yoga that uses a powerful sequence of postures combined with breath to create an internal heat that opens the muscles and purifies the body. Ashtanga Yoga is an ancient systematic practice of yoga that slowly builds in difficulty to allow students to safely access their full potential. Focus on breath, balance, and energy allows students to bring all their attention to the flow of postures in moving meditation. Ashtanga Yoga is a rigorous, physically demanding practice in a heated room. Manju will introduce the original Sanskrit counting method, helping students learn the correct breath sequence of Primary Series. A combination of meditation chants, pranayamas and asanas make each practice session the purest experience of Ashtanga Yoga. The Shanti Mantras, or Vedic Peace Chants, spread the benefits of practice beyond the self. Taking the time to learn and repeat the Shanti Mantras is very powerful – having occasion to practice them with others is astounding. Manju offers truly authentic guidance for all who wish to follow Ashtanga’s life-enriching path to Enlightenment. Manju’s dedicated lifelong mission is to provide training for students and teachers in the ancient traditions of authentic Ashtanga Yoga. He is honored to offer guidance to all who wish to learn and benefit from Ashtanga Yoga’s ancient and time-honored practices. Manju’s teaching style is spiritual, intensive, inspiring and humorous. He is renowned for assisting students deeper into poses. He honors the ancient Ashtanga tradition and teaches his students with clarity and enthusiasm. We invite you to join us. Enjoy this rare opportunity to learn from a genuine Indian Master as he guides you to “Unite with Yourself”. 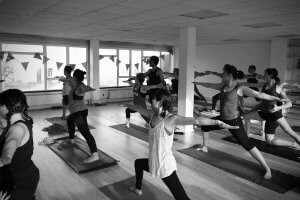 In this week-long Ashtanga intensive, Manju will introduce and teach powerful healing elements and techniques that make up the Ashtanga system. Ashtanga intensive days are suitable for students of all levels. Bring a well hydrated and well rested body, refraining from eating at least 2 hours prior to the workshop. When eating, select foods like fresh fruit, vegetables, whole grains. Low acidic food choices are optimum. Come with an open mind, body and spirit. We will provide a full refund (less 10% admin fee) to those who cancel 28 days before the workshop commences. After this time there will be no refund unless your place can be secured from a waiting list, in which case your fee will be refunded (less a 10% admin fee). 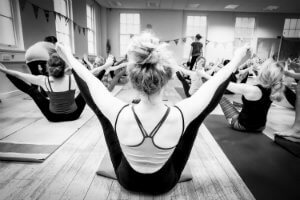 Should the event be cancelled by Stillpoint Yoga London you will be offered a refund or alternatively credit be given to you against future events held by Stillpoint Yoga London. Workshop spaces are not to be shared or transferred between students. Please do attend all scheduled sessions booked for at a workshop, they are presented so as to give you the optimum experience of the workshop teachings. Due to teacher cancellations, low bookings or other situations outside of our control, some courses may be temporarily or permanently unavailable. We reserve the right to make any changes to our programme, courses or teachers. Alternative arrangements are offered to the best of our ability but, if not taken up, we do not accept responsibility for any costs incurred, including travel costs.